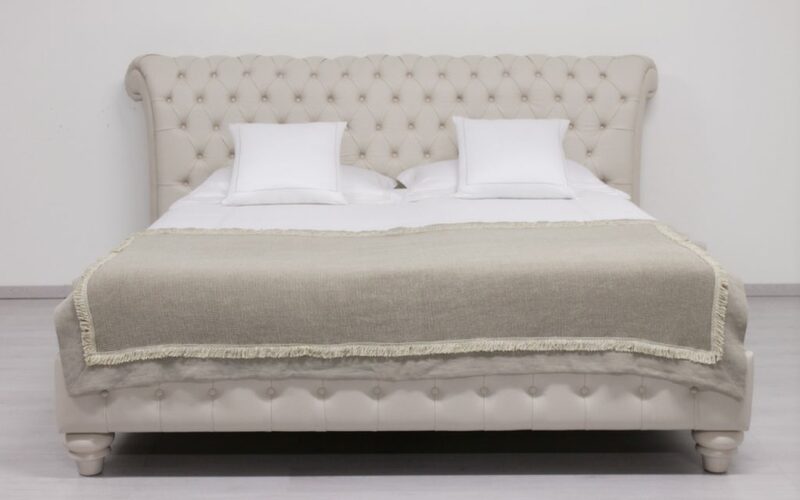 CHESTERFIELD by ORSITALIA: tufted luxury upholstered bed with swings ears, in grain leather or fire-proof fake leather, completely tailor-made in Italy, wide possibility of custom-made offered by Orsiitalia. Orsitalia offers, for tailor-made beds Chesterfield: a wide choice of embrodery’s shapes; custom sizes on demand; full color pallet for the lacquering of wooden feet; different kind of textiles like: matt or glassy velvet, soft wool, linen and cotton fabrics, grain or vintage leather, Nubuk leather, fire resistant fake leathers. Orsitalia combine them all together thanks to the experience grows in 60 years of manufacturing and thanks to Orsitalia’s young designer. The quilted high bedhead of Chesterfield bed has been studied by Orsiitalia to give a rounded three-dimensional movement. 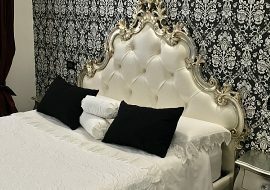 Orsi Italia upholster and quilt also the basement of Chesterfield bed and, as extra touch of elegance, the lacquering of turned wood feet matches to the textile used for covering the bed. 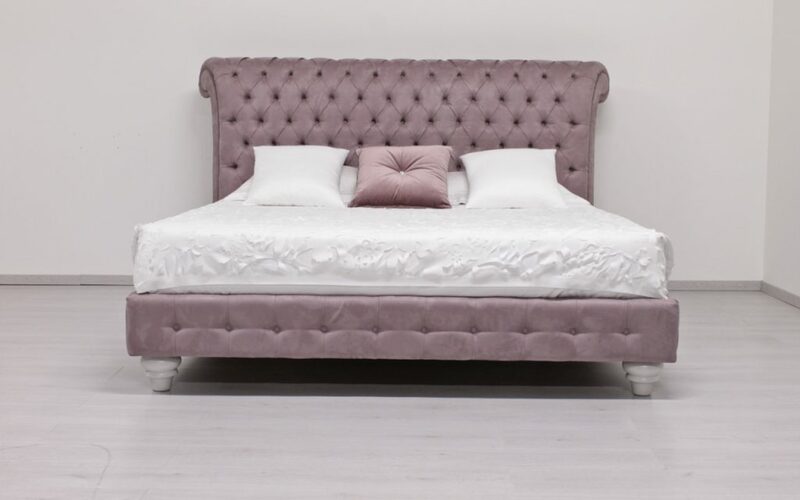 It is possible to have the Chesterfield double bed with storage bed also. 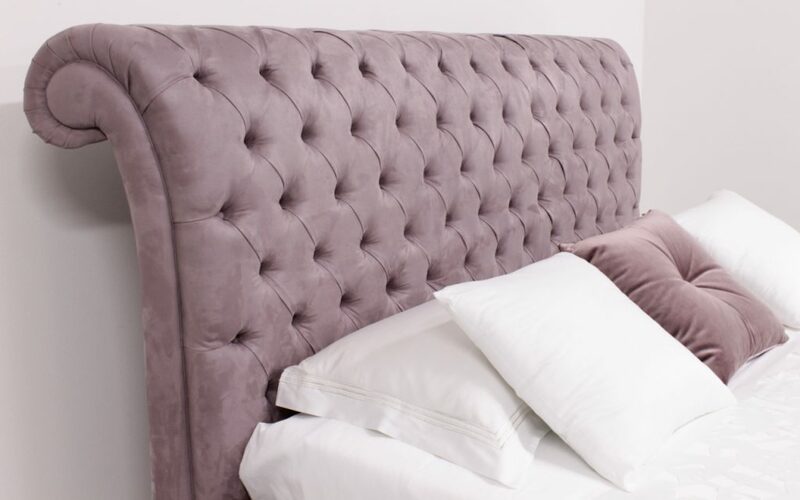 Orsitalia proposes to make more precious the tufted headboard of the bed Chesterfield, as an alternative to leather or velvet buttons, Swarovski crystal buttons or jewel buttons. Everything is’ strictly hand-made by Italian artisans. The Chesterfield collection is also suitable for Contract use, thanks to the fire-retardant velvets and the fireproof fake leathers selected by Orsiitalia. Contact us we ill support you in your technical and designs choice. 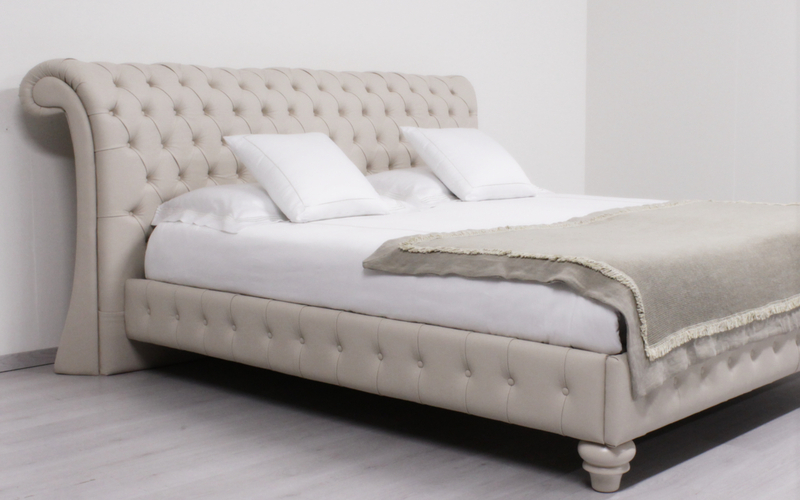 Upholstered and full tufted Double Bed with special padding and buttons for the bed frame. The bedhead has curved beautiful plain ears and the whole head lean on the floor. The footrest has turned big wooden feet that will be lacquered to match to leather or fabric color. 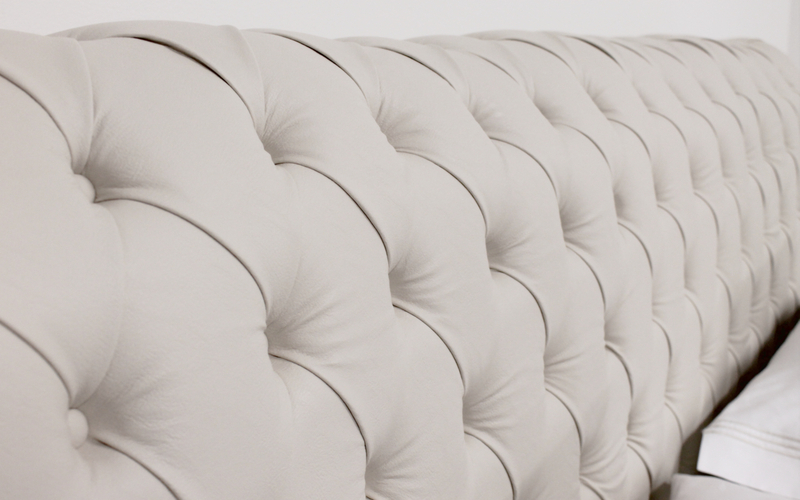 Bedhead, bed base or storage base Upholstery: handmade. Storage bed with bed slat included is available with storage vertical lift up bed or double movement lift up one. Per il legno: togliere la polvere con l'aspirapolvere oppure con un panno morbido asciutto. Si ricordi che il legno è vivo e quindi non utilizzare nessun prodotto per la pulizia della casa. For leather, fake leather, microfaser: wipe off dirt lightly with a damp cotton cloth.